If you’re wondering what to do with your leftover Christmas ham, I have the answer! 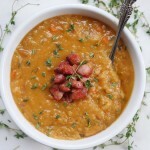 THIS: Ham and Lentil Soup. We decided that since this was Tony’s FIRST CHRISTMAS that we would host a Christmas party! After the party, we had a good amount of ham leftover, which was awesome because the truth is that I like ham better as an ingredient in a recipe than on its own. The leftover hambone is worth more to me than the meat itself – it imparts SO much flavor in soup! 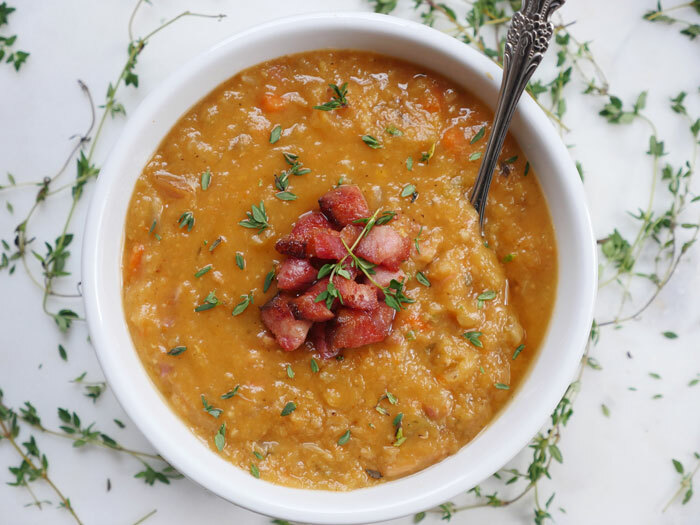 I decided that this year, I wanted to make a hearty ham soup with lentils and I’m so glad that I did. The dish turned out to be so delicious! I know lentils never really look very appetizing but anyone who has tried them knows how tasty they are. 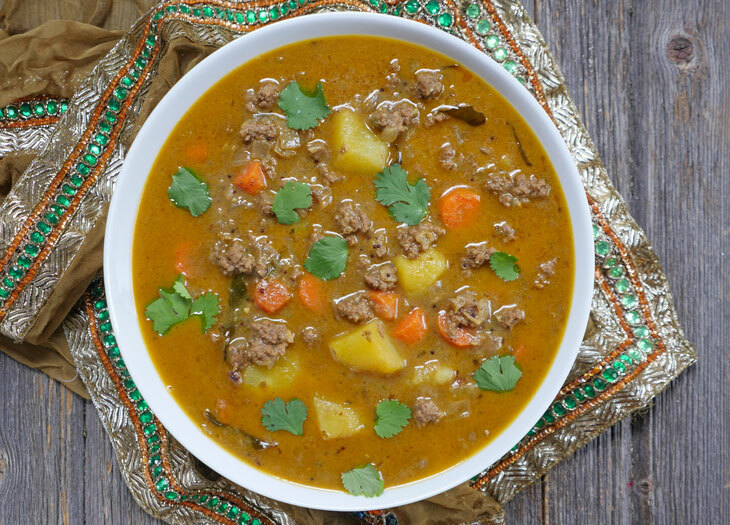 This soup is comforting and filling and the perfect dish to enjoy around the holidays. 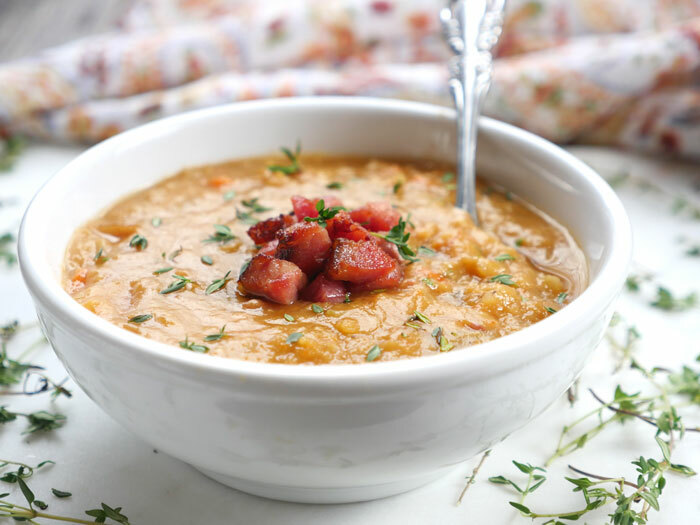 Fry up some chopped pieces of ham and top your soup with them – it makes this “nice” dish feel “naughty.” Yes, I definitely just called ham soup “naughty.” I don’t even know… just trust me and try it! 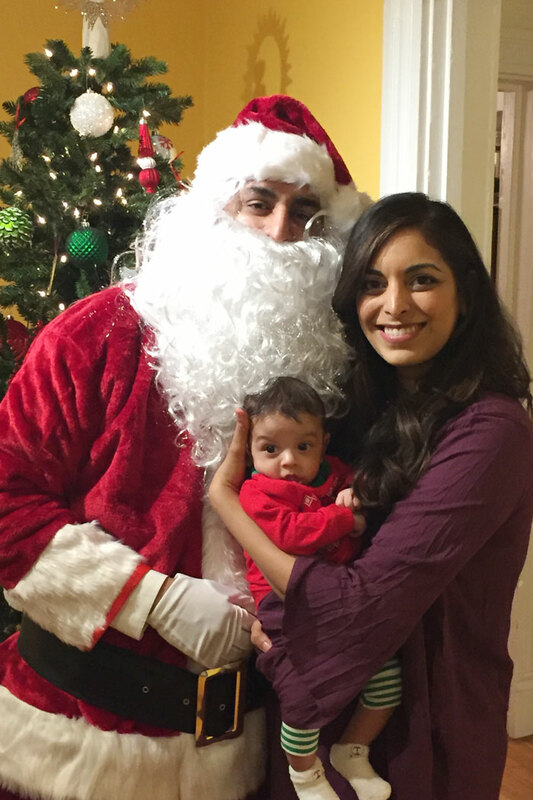 Baby Tony loved meeting Santa! Well actually, at first he pulled on Santa’s beard – probably to make sure he was the real deal. But once he confirmed that Santa was legit, he decided the two of them were cool. 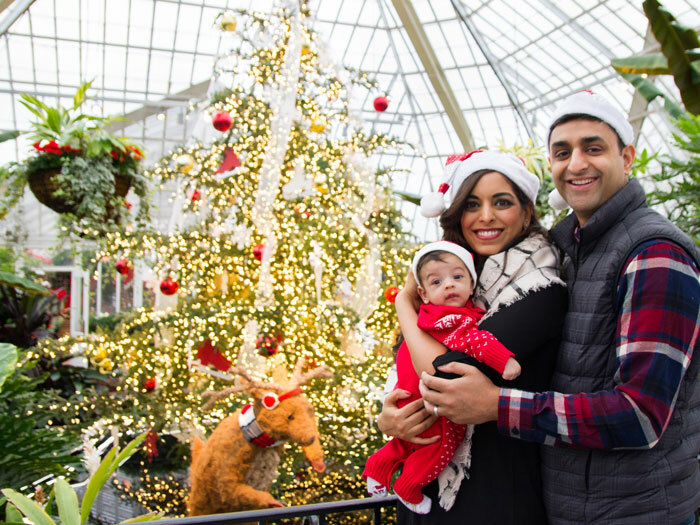 We (Ashley, Roby and Baby Tony) hope you all had a wonderful Christmas and we wish you all the best this holiday season!! Press the sauté button on the Instant Pot, and add the oil, onions, celery, carrots and garlic to the pot. Stir-fry for 5 minutes. (This is an optional step. You can dump everything in at once if you want). Remove the ham bone from the pot. Once cool enough to handle, remove the meat from the bone and put it back in the pot. 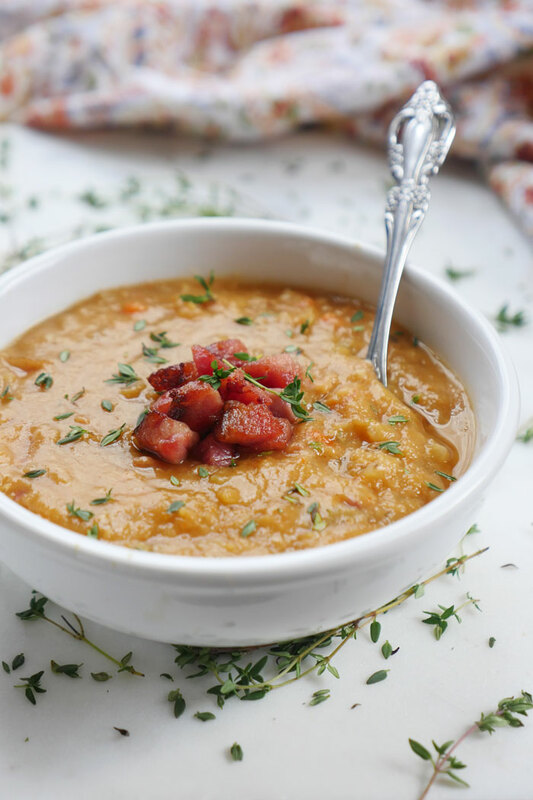 Serve the soup with fried pieces of chopped ham (make sure you do this! It takes the soup to another level!). If reheating, thin the soup out with water or broth. Can I do it with leftover ham that is no longer on the bone? Had a chance to try this tonight. If I had one word to describe this recipe it would be “hearty”….and if I had three words to describe this recipe it would be “really darn tasty”. The chunks of ham are critical in my opinion and certainly are delicious when fried beforehand as suggested. 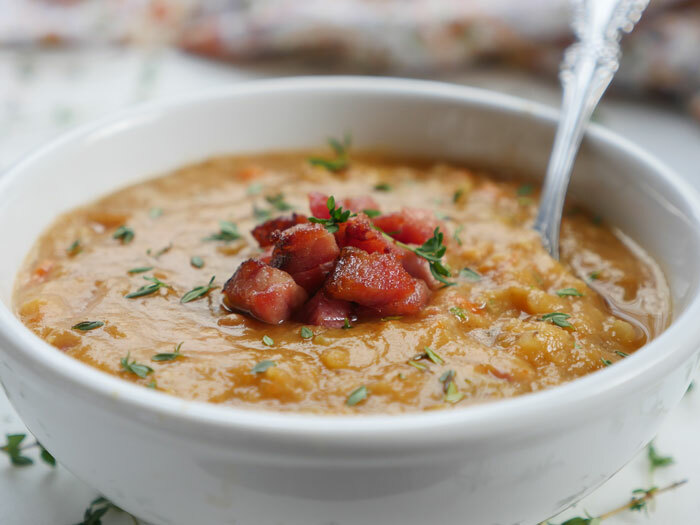 The salty-sweet ham chunks enveloped by the creamy lentil soup is a wonderful interplay of flavor. Certainly an excellent dish for a winter lunch or dinner. Excellent instructions especially for a newbie like me to make. Thank you. Love your recipes! I would love to try making this but I cannot find “Meaty Ham Bone” at my grocery store. Is there a certain approximate amount of ham meat you recommend I use? Congratulations on the birth of your child…I am sure you are busy! Hi Eric, thank you! I use a leftover ham bone – the next time you buy a ham, just save the bone! The flavor mostly comes from the bone so it can have as much or as little meat as you’d like on it. For anything like this, I always look for a Ham Hock. They’re not always readily available, but definitely, ask your butcher or grocery store meat cutter about them. I found a great local butcher and order four of them at a time. They aren’t too big and are just fine to freeze until you need them. How many servings does this make? Am I right in guessing 4-6? Loved this recipe. Made it tonight with my leftover honey baked ham bone from Thanksgiving. Big hit. made this tonight. Not impressed lentils turned to mush and the soup was very thin and bland. I simmered it down to half and put it in the blender. Added fried ham. My husband said it was just ok. This really needs some acid or zest. Something to brighten up the flavor. I made this today and am eating it right now and it’s really good! I’m so happy I finally found use for the baggies of red lentils that have been in my pantry forever! My leftover ham did not include a ham bone so I used chicken stock as liquid (instead of water as stated in recipe) to give it some flavor and I also put in about 1.5 cups of chopped up ham in the soup to cook with all the vegetables, once again, to give the soup flavor to make up for the missing ham bone. I had a less lentils than stated (probably half a pound) in the recipe therefore put in less broth – probably just 6 cups max. I kept the quantities of vegetables the same because I love vegetables. Since I used a chopper the vegetables were chopped up small so I only sauteed for a couple minutes and then set pressure cook time to 30 minutes. I didn’t want to overcook the ham. I’m so happy to hear that! Thanks for letting me know how it turned out for you 🙂 Hope you’ll let me know if you try any more recipes from the site! This is a very good and easy recipe. Just made it and the addition of the cayenne to the recipe is amazing and takes the spice level so much higher. Additionally, this is the first time when making lentil soup that the lentils did not turn to mush. This is a keeper! 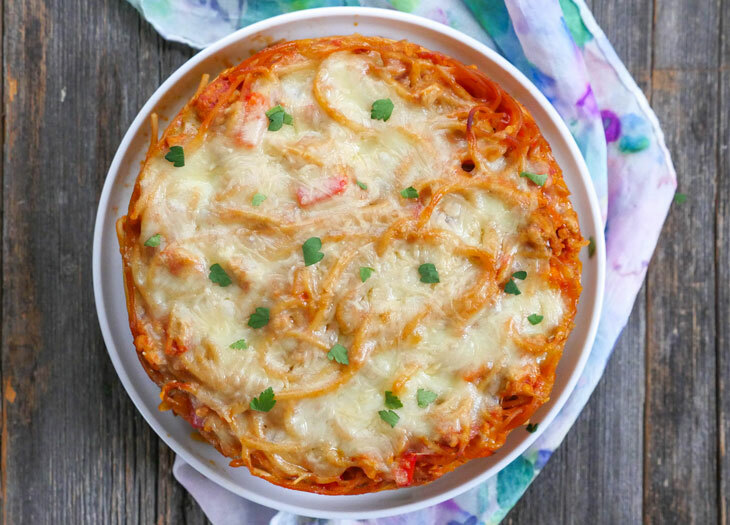 This is so delicious and easy!! I can think of so many uses for the fried ham bits – this is a game changer. My husband loves it too, so this one is definitely going into the rotation. Thanks, Jack! I call for that amount of time to get as much out of the ham bone as possible 🙂 I’m glad you liked it! I subbed low sodium chicken broth for water and used some poultry seasoning instead of thyme (I was out). I also added 2 tsp of Spanish paprika. This was by far the best soup I have ever made. Thank you so much for sharing! I had a lot of left over ham so I decided to do a taste test. I made a batch in the instant pot and one in the slow cooker. They tasted the same but sure liked it being done in 1 hour vs 8. Both were excellent! Planning on taking some to work to share at lunch. What do you think about freezing some?